RPG Screens: Lexaeus vs. Axel. An RPG battle screen made by me :) Personally, I like this better than my Sora vs Cloud one.. Wallpaper and background images in the Kingdom Hearts club. 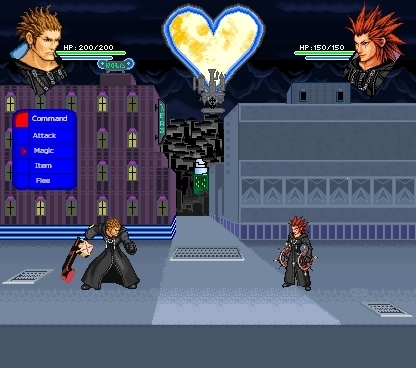 An RPG battle screen made by me :) Personally, I like this better than my Sora vs Cloud one.